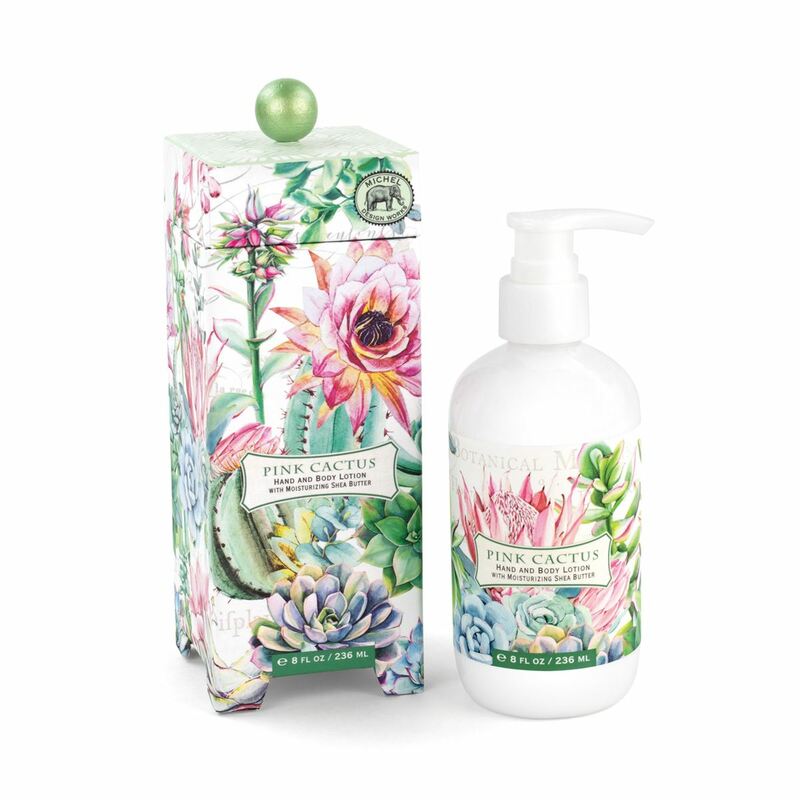 PRE ORDER - Pink Cactus Hand & Body Lotion - Will Ship End of May Shop the largest selection of Michel Design Works hand & body lotion and more - Pink Cactus Collection. Plus enjoy free ground shipping on all orders over $50. Shea butter, aloe, and other botanical ingredients make this silky, luxurious lotion perfect for even the driest skin. 8 fl. oz. / 236 ml lotion.